longstanding resident parishioners to relatively short-term visitors studying at Reading University. 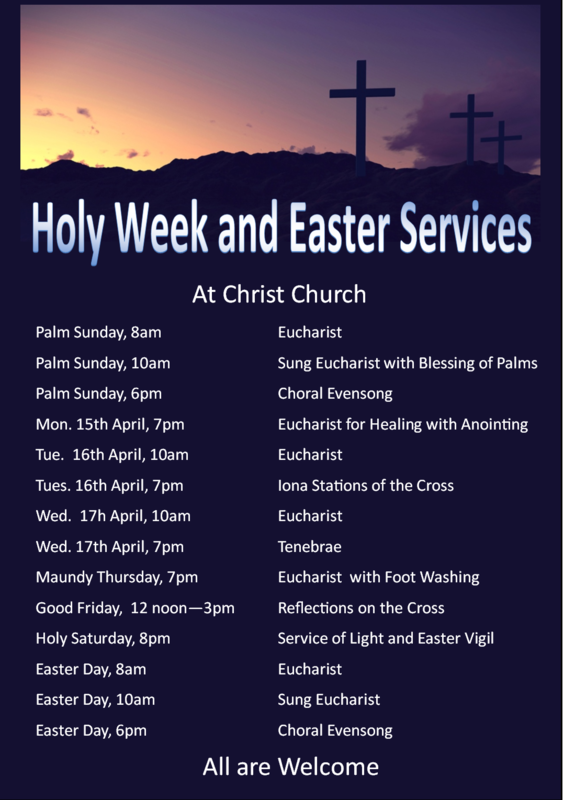 Christ Church offers a variety of styles in its pattern of devotion.Common Worship,the liturgy of the Book of Common Prayer and child- led family services form the mainstay of the morning Eucharist, whilst Choral Evensong services provide the backbone of evening worship. Christ Church, ( as a striking landmark of Reading), with a tall elegant spire visible from miles around, is a work of architectural beauty and significance and its people form a lively and friendly community. Vacancy - Christ Church is currently looking for a children's worker to join its ministry team. For a full job description please here. Details subject to alteration from time to time. Please check ' News sheet' for updated information. Pilgrim is a major new teaching and discipleship resource from the Church of England. It is designed to create a safe and non-judgemental place where people can explore the Christian faith together and see how it can be lived out each day. The course offers an opportunity to approach and explore the great issues of faith not through persuasion, but through contemplation and discussion with a group of like-minded fellow travellers. It assumes very little prior understanding or knowledge, making it accessible to people at any stage of their Christian journey. You can find out more about Pilgrim here All are welcome to join us.